Artists from near and far participate in this event, showcasing some of their visions of Wrightsville Beach and the marshes by putting them to canvas. Artwork is freshly created over a couple of days and sold while the paint is drying, almost! Come out and watch an artist paint the next beautiful canvas for your home or office! Starting October 24 come out to watch an artist paint the next beautiful canvas for your home or office! Then come by on Saturday, October 26 at 4 PM to pick it up at The Wet Paint Sale!! Spectacular paintings of your favorite views of your favorite beach. 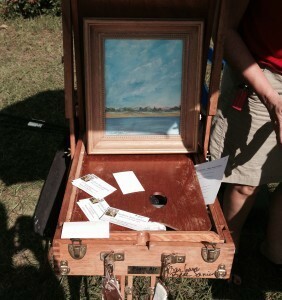 ARTISTS: Registration will start June 1 and will include box lunch on Friday. 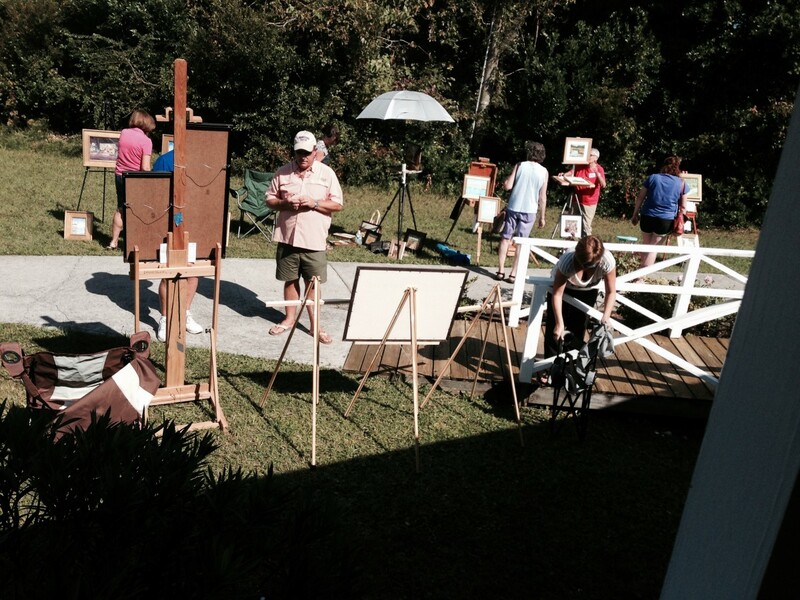 Spring 2015 and October 2017 Wrightsville Beach, N.C.: Plein air artists are invited to participate in the Wrightsville Beach Museum of History’s plein air event. To provide artists with a venue for plein air painting of this scenic, historic seaside town during perhaps its most beautiful time of year is an exciting opportunity. We will encourage participation of the public in this event by inviting them to drop by and watch the artists as they paint. A portion of the sales of the works will support the museum. I can’t hear anhintyg over the sound of how awesome this article is.